Traction meets attraction in a fusion of SUV capability, coupe agility, and Mercedes-Benz style. With four doors and a power liftgate, it’s easy to get into. With turbo power driving all four 19-inch wheels, you’ll never want to get out. 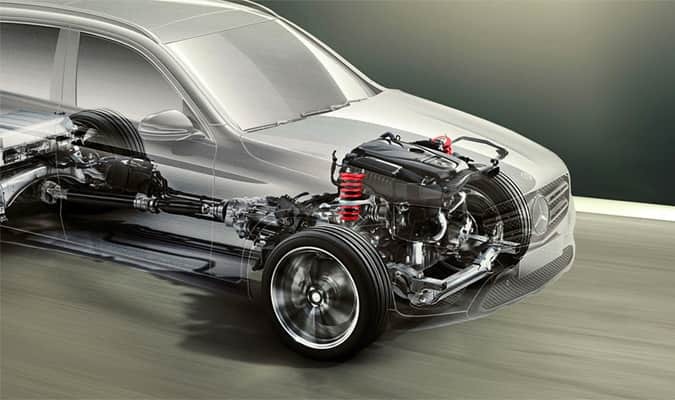 The GLC 300 4MATIC Coupe’s 241-hp turbo-4 delivers big-engine thrust without the thirst. 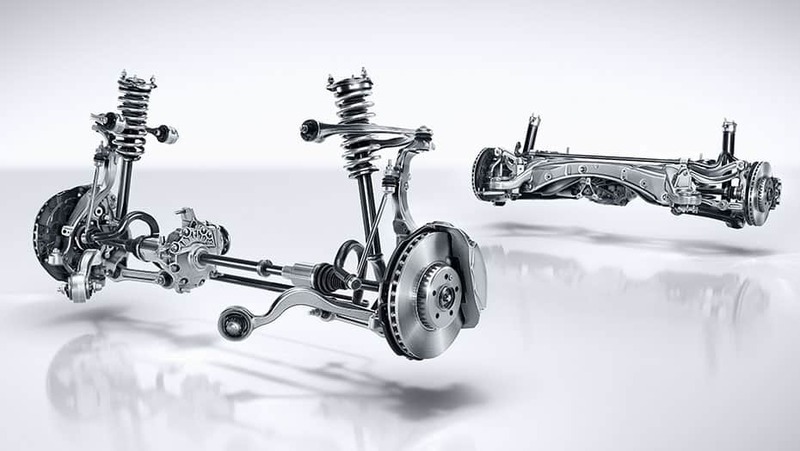 Its advanced Direct Injection and multispark ignition help keep performance at its peak in real time. And with 0-100 in just 6.5 seconds, it’s a real good time. A fusion of sports car and SUV, an infusion of AMG power. 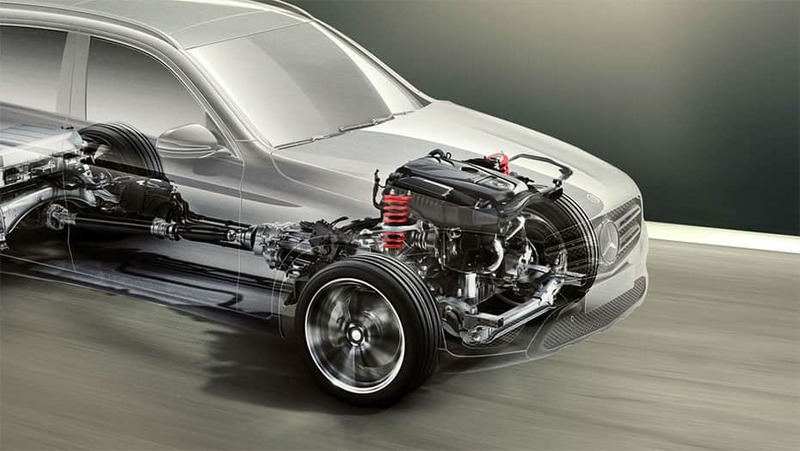 Turn up the turbo boost and fuel pressure, cut the friction, and muscle up countless components, and you’ll have the 362-hp V6 biturbo engine in the GLC 43. 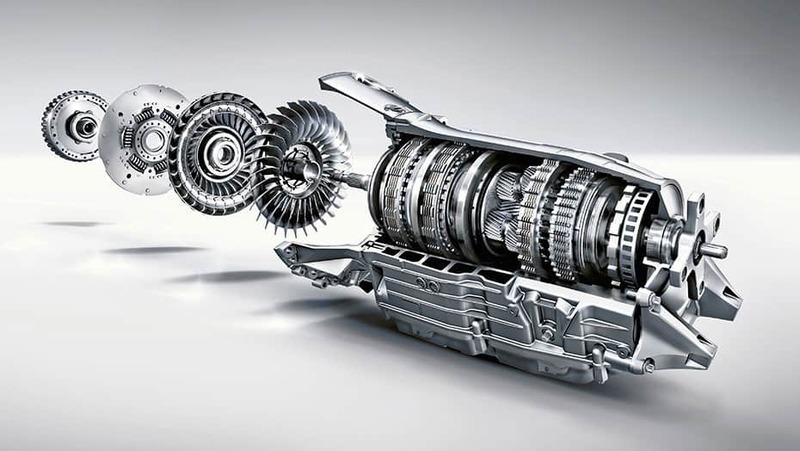 With 384 lb-ft of torque from a mere 2,500 rpm, it’ll serve up 100 km/h in just 4.9 seconds. You don’t add up the doors to define a Mercedes-Benz coupe. It’s the soul that counts. And to prove it’s a Mercedes-Benz SUV, just feel its character. 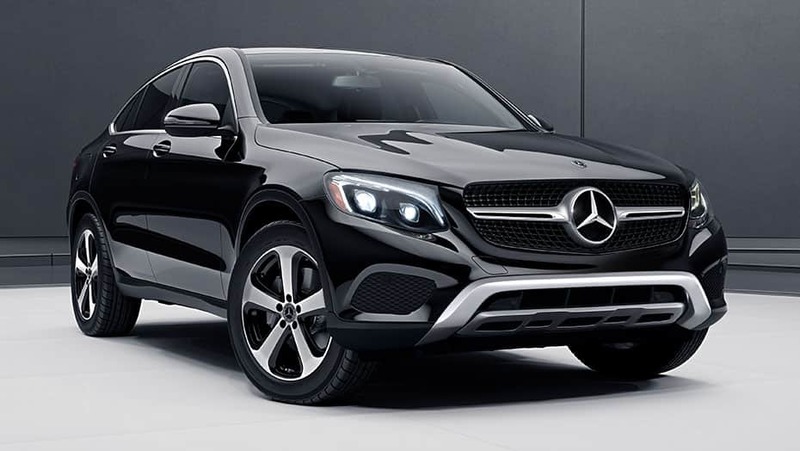 Agile, strong, sleek and confident, the GLC Coupe puts the “stance” in substance. 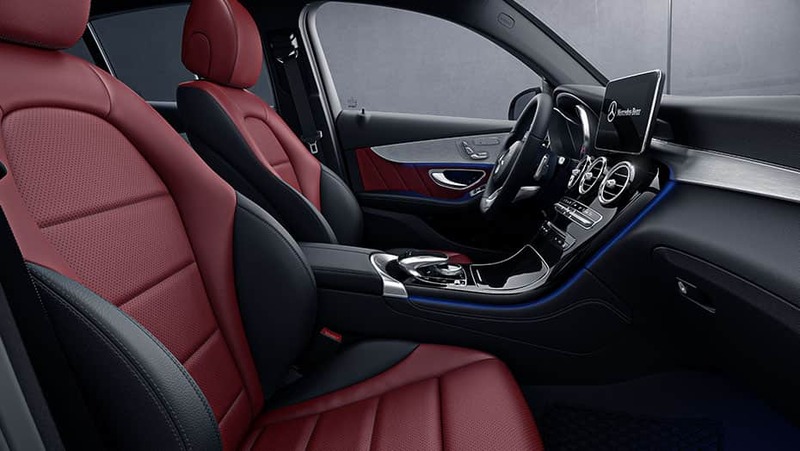 The beauty of an SUV is versatility, and from a 40/20/40 rear seat to available multicolour ambient lighting, the GLC Coupe flexes to fit your life. 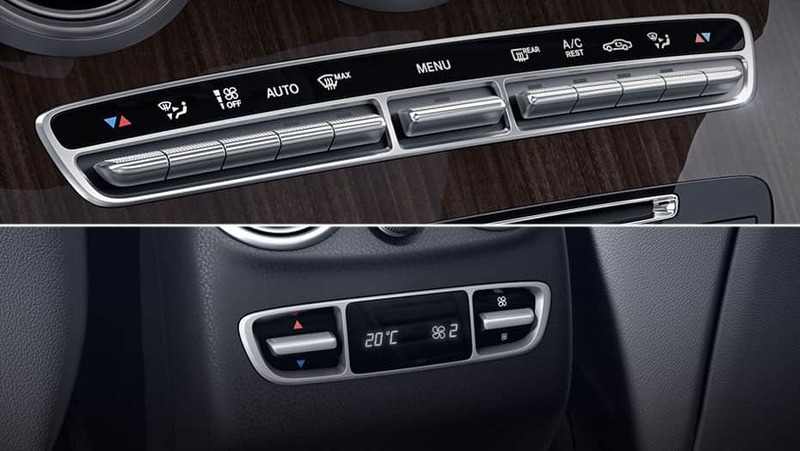 With a rich palette of cabin trims, the beauty of a GLC is also beauty. 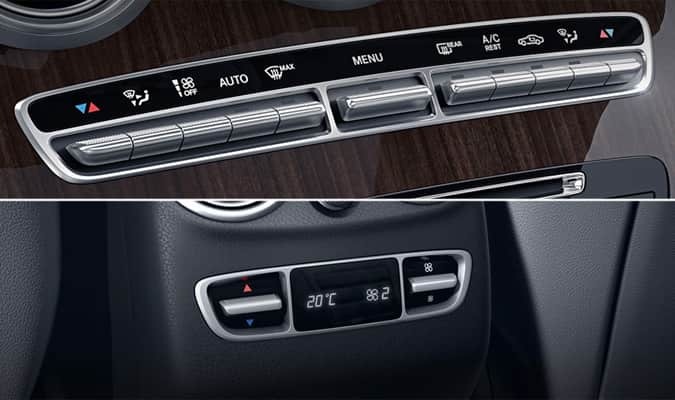 With heated power front seats and dual-zone THERMATIC climate control, the GLC Coupe cabin is an enticing getaway. 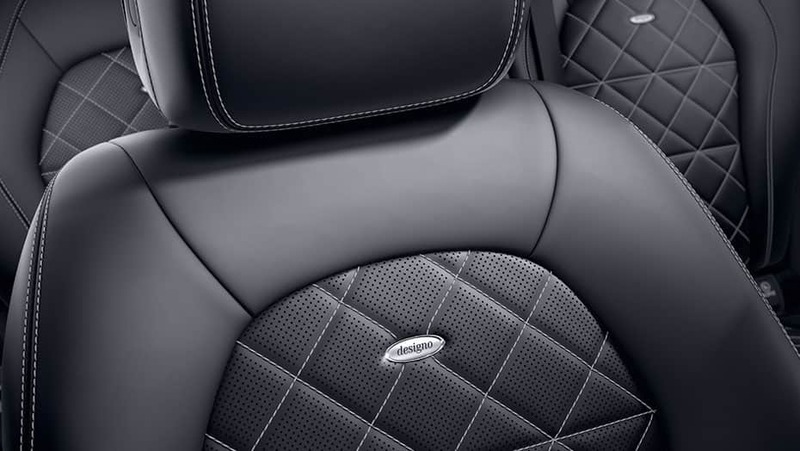 And with options from an AMG Interior Package to handcrafted designo Nappa leather, it’s an inviting destination in itself. The GLC Coupe combines an SUV’s view of the road ahead with a preview of tomorrow you’ll only see in a Mercedes-Benz. Industry-advancing innovation and driver assists help keep you above the fray, ahead of the curve. 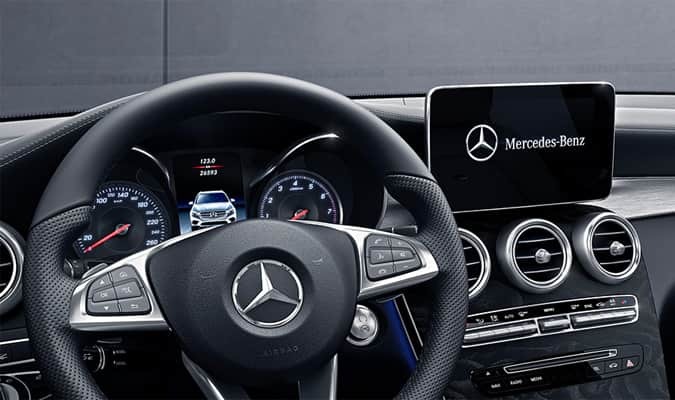 From a standard rear view camera and Blind Spot Assist to its available 360-degree camera, Active Distance Assist DISTRONIC cruise control, and Active Lane Keeping and Parking Assists, the GLC uses cameras, radar and more to help smooth your every move. A console-mounted controller and a big, vivid screen with animated menus put a world of entertainment and customizable features within easy reach. 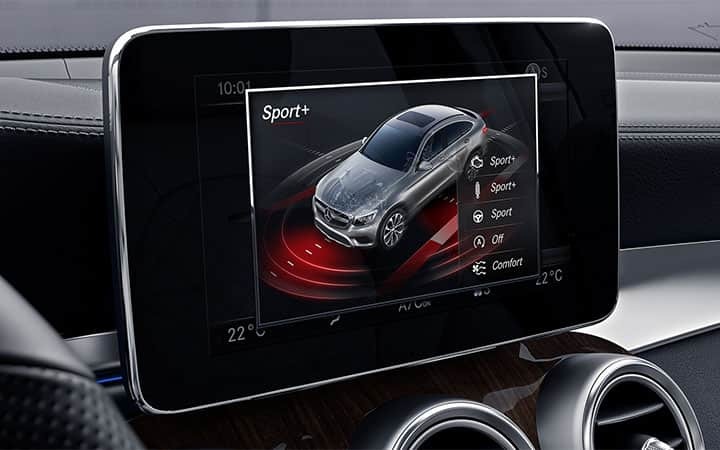 Available COMAND navigation upgrades the screen to 8.4 inches, and the controller to an intuitive touchpad. The GLC looks out for you in more ways than one. From radar-based front collision mitigation and available rear collision prep, to the seamless benefits of Crosswind Assist, a team of safety systems stays on guard wherever you drive. Rear view and 360-degree cameras do not audibly notify driver of nearby objects and are not a substitute for actively checking around the vehicle for any obstacles or people. Images displayed may be limited by camera field of view, weather, lighting conditions and the presence of dirt, ice or snow on the cameras. Active Distance Assist DISTRONIC cruise control is no substitute for active driving involvement. It does not adapt cruising speed in response to stationary objects, nor does it predict the curvature and lane layout of the road ahead or the movement of vehicles ahead. Active Steering Assist requires driver to hold steering wheel and be ready to steer vehicle at any time. It may not recognize lane markings in some lighting, weather and road conditions. It is the driver’s responsibility at all times to be attentive to traffic and road conditions, and to provide the steering, braking and other driving inputs necessary to retain control of the vehicle. 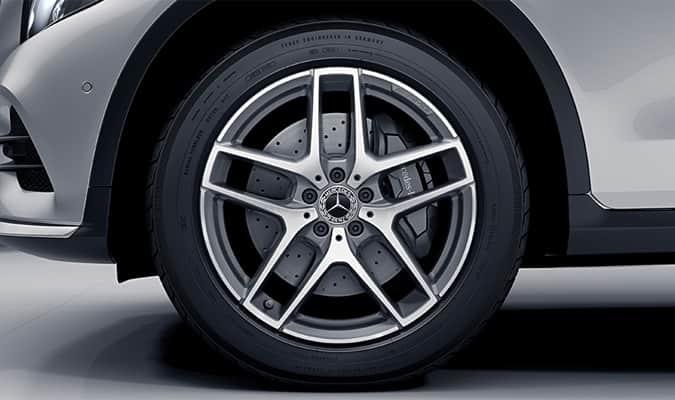 Drivers are cautioned not to wait for the system’s alerts before braking, as that may not afford sufficient time and distance to brake safely. 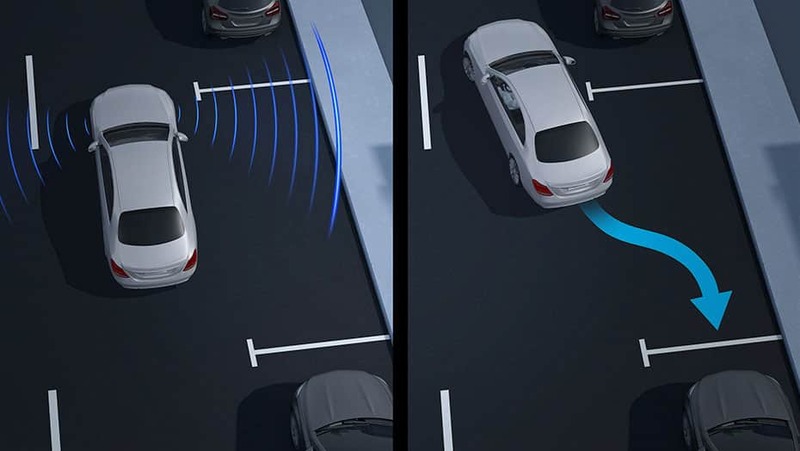 Active Parking Assist is not a substitute for driver attention to the immediate surroundings, as well as any people, animals or vehicles in or approaching the vehicle’s maneuvering range. System cannot determine if a space is legally available or of a suitable surface for parking. See Operator’s Manual for additional information, tips and warnings. Blind Spot Assist may not be sufficient to avoid all accidents involving vehicles in your blind spot and does not estimate the speed of approaching vehicles. It must not be used as a sole substitute for driver awareness and checking of surrounding traffic conditions. See Operator’s Manual for system’s operating speeds and additional information and warnings.